Barbecue enjoys a long and storied history in this country. 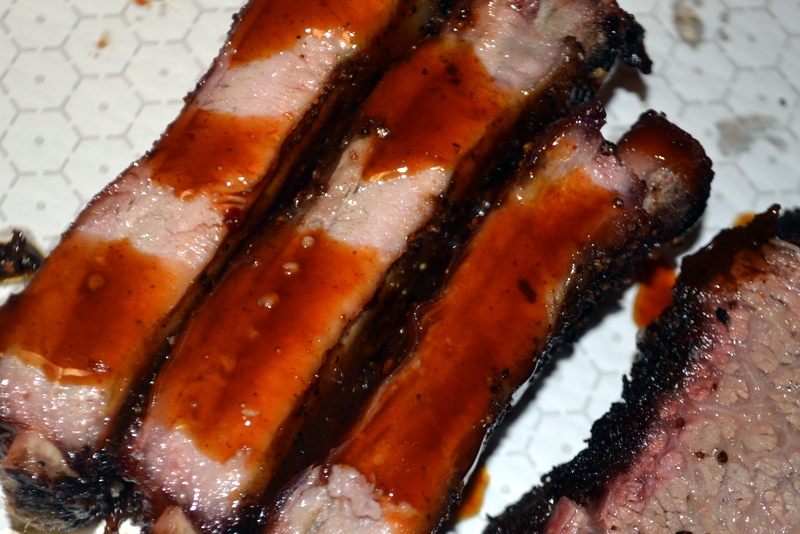 There is more to barbecue than meat and sauce, and every pitmaster has their own preferences and opinions. The history and complexity of what might be the world’s oldest culinary art is vast. It’s an art form to many, and a hobby for most. Barbecuing is the process of cooking meat slowly and for an extended period of time, either in a smoker or large grill. Smoking imbues your meat with a delicious, well…smoky flavor. However, it requires a certain level of patience and expertise, so for many people, it’s just not a practical option. You can’t simply throw some wet wood chips over hot coals and fully cook your meat in an hour, but the end result is tender, juicy cuts of meat. While the terms “barbecue” and “grill” are often used interchangeably, they are hardly synonymous. Click To Tweet If you’re grilling, you char the outside of the meat to seal in the juices, then quickly cook to the desired level. Grilling is done on high heat for a short period of time. This means that it’s not the ideal method for large cuts of meat, as they’ll often burn on the outside while remaining uncooked inside. Fish: 30 minutes to 1 hour. Chicken: Marinate briefly, for 2 hours or less. Pork, steak, tougher meats: Marinate in the fridge from 4 hours to a full day. Rubs are mixtures of spices and seasoning that add flavor but don’t tenderize. Dry rubs are exactly what they sound like. The dry rub can be mixed with a wet ingredient, like oil, soy sauce, Worcestershire, or mustard, to form a paste. Rubs can be applied right before you cook, but for more impact, you can put it on a few hours before you plan to cook. In Texas, most pitmasters smoke beef over aromatic wood chips, like hickory or mesquite. Texas mop-sauces put store-bought barbecue sauce to shame, which is part of the reason authentic Texas Barbecue catering is so sought after. A barbecue restaurant wouldn’t be worthy of the name without menu staples like coleslaw, brisket, potato salad and pulled pork. Pulled pork is pork shoulder cooked low and slow until the meat is tender enough to pull apart. The result is a mouthwatering platter that can be enjoyed on its own, or on a bun and with a variety of sauces and toppings. The classic pulled pork sandwich pairs pulled pork with coleslaw, which adds a kick and texture to enhance the rich flavors, and a cool crunch of shredded cabbage to contrast the tender meat. Are you hungry yet? Contact Us to book authentic Texas barbecue for your next event, or stop by and indulge for lunch or dinner!